One of the Upper Peninsula’s lowermost port towns, Escanaba boasts some of the U.P.’s most gorgeous views and adventure opportunities. Explore trails, fish for walleye and bass, admire Lake Michigan’s Little Bay de Noc, and drink some unforgettable beers! 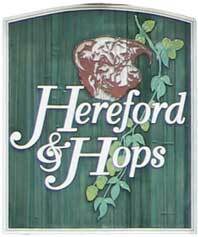 Hereford & Hops is Escanaba’s sole brewery but features just the right variety of styles. The brewery offers an awesome seasonal selection, which includes a Christmas Ale that changes in flavor and style each year. Stop in for a beer or two and snag some food while you’re at it. Menu here. Tap list here. Facebook here.